Fondazione Prada was set up in 1993 by designer Muccia Prada and her husband, commissioning contemporary artists to exhibit and produce in this industrial space. The former distillery has been transformed by combining preexisting buildings with three new structures, architecturally developed by OMA, led by Rem Kolhaas. The 19,000 square-meter venue is a campus of post-industrial and new spaces, both intimate and expansive with the courtyard providing a common public ground open to the city. 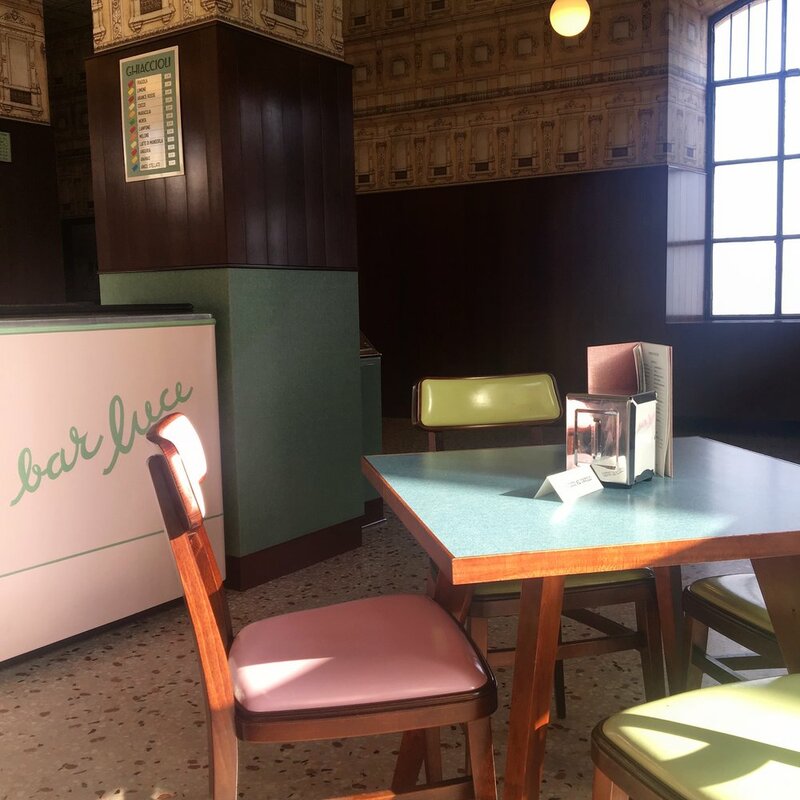 Make sure you combine your visit to Fondazione Prada with a visit to Bar Luce. The interior design: seats, wood wall panels and colors are reminiscent of Italy's 1950s and 1960s. A hangout for the neighborhood and a great place to soak in the sun with an aperitif.